The Shore Riders is the Sarasota, Florida chapter of Women in the Wind was started back in 1979, Toledo Ohio, by rider Becky Brown. It has since grown to almost 70 chapters in the USA and Canada, with 10 chapters in Florida. They have almost 1500 members around the world and as far away as Australia. 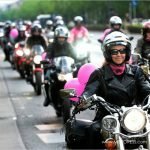 On International Female Ride Day the She Shore Riders will host a women’s only dinner and evening ride! Friday night, May 1, 2009, kick stands up (KSU) at 6:30 p.m. leaving from the parking lot in front of O’Leary’s located at 5 Bayfront Dr., Sarasota, FL. 34236, the south side of Island Park Parking Lot. 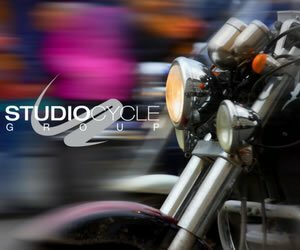 All female riders from all bike clubs are welcome. The ride will be a short celebration for this special day for women riders worldwide–arriving to a local waterside restaurant. Continuing on May 2nd the group continues celebrations at Rossiter’s Harley-Davidson. Every Woman that rides her own bike to Rossiter’s on Saturday May 2nd will receive a wooden nickel from one of the Women in the Wind – She Shore Riders Chapter members for a free hot dog at the HOG Hut, and 20% off any one item in the store (excluding motorcycles and labour). There will be music, vendors, raffles, give-aways and much more! The She Shore Riders will be giving away a free Riders Edge Beginners Course and we will be scheduling some women only classes for the month of June.